A row of harbour hill top cottages, 13cm in height and stands firmly. White, seabreeze pastel blues and a flurry of delightful beachy hues. 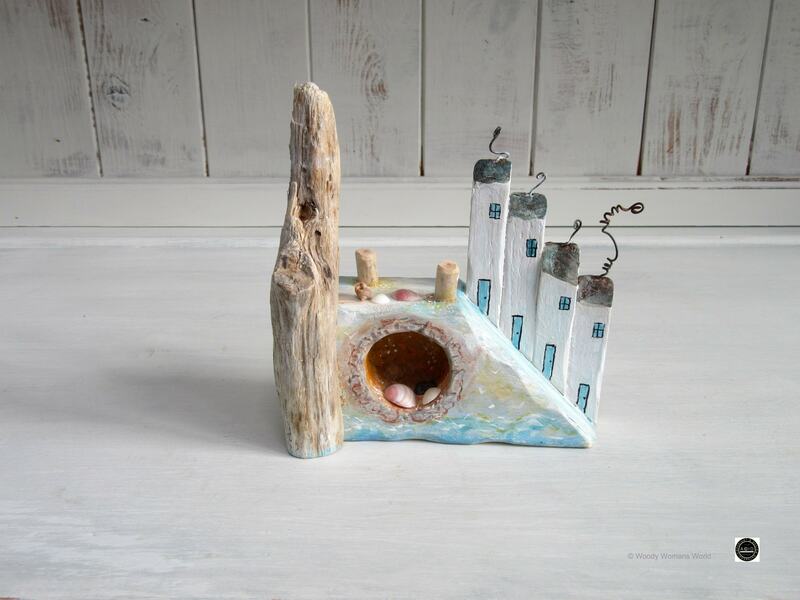 Combination of driftwood and recycled woowith gorgeous natural shells . 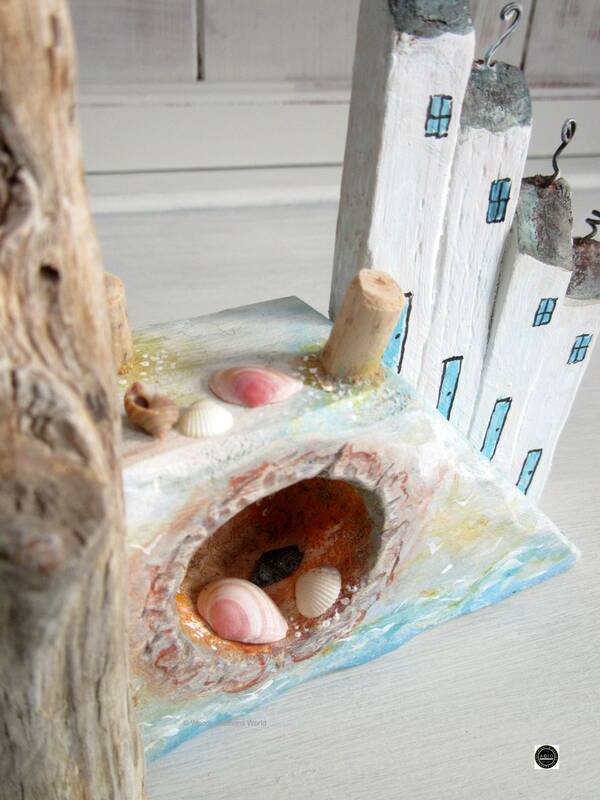 The wooden cottage stands firmly at approximately 13cm in height, 15cm in width and approximately 5cm in depth. 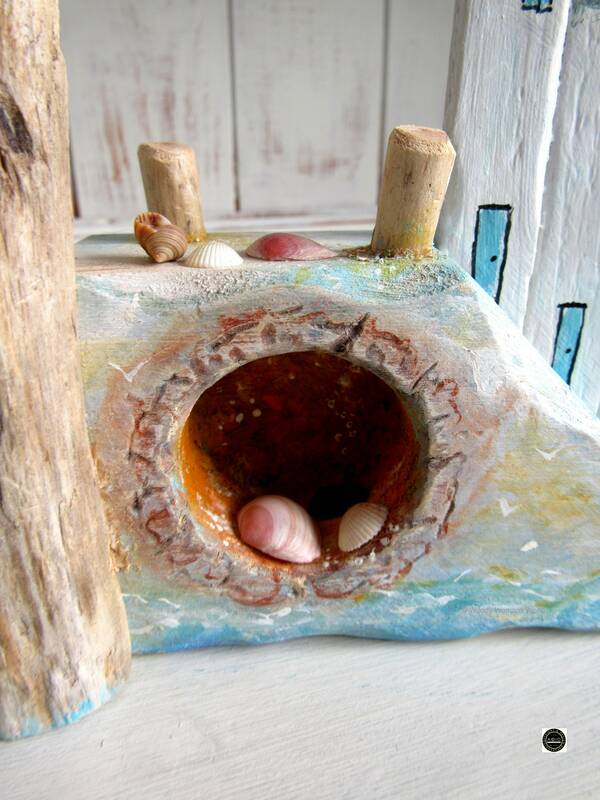 The cottage is made from combinations of driftwood and recycled wood. It has a fabric base for the protection of your surface and each is signed by me, the artist. Gorgeous details using traditional and modern techniques. 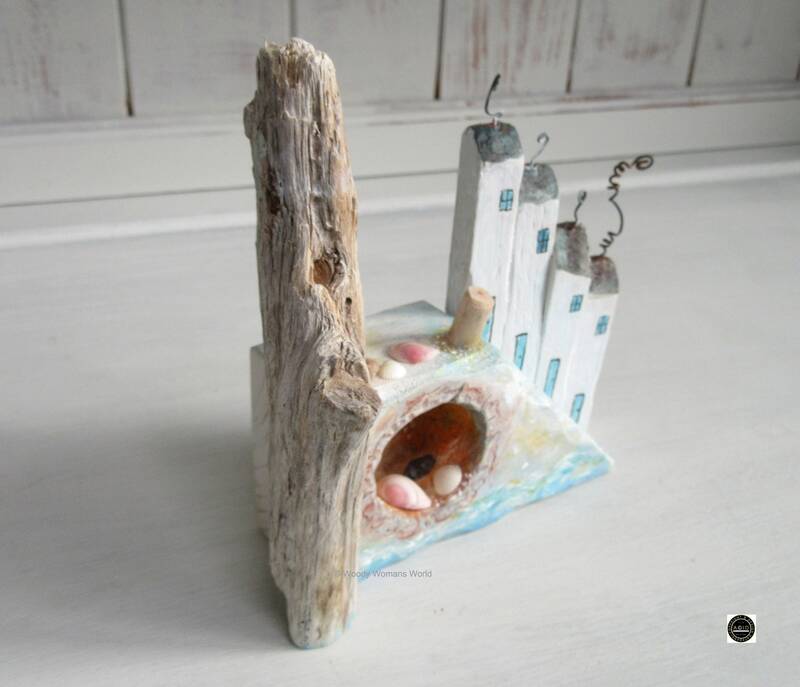 A perfect driftwood and wooden ornament to display in any little space. An art piece with oodles of charm that will delight any receiver. 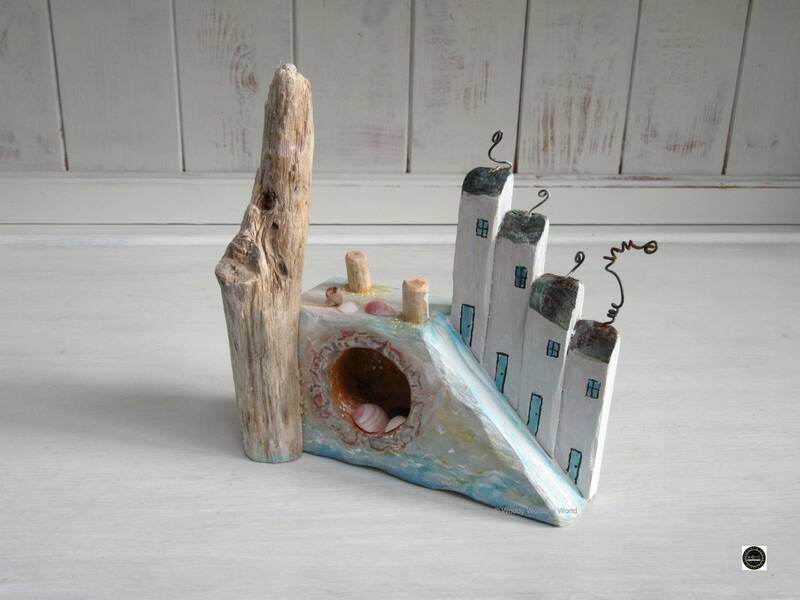 The cottages I make have been inspired by the lofty, skyward bound coastal houses that huddle around tucked away harbours and long sandy seafronts. I just love these homes that stand in line, so monumental and majestic. Whilst cobbled streets and delightful nooks are enchanting hideaways for seaside cottages. With their faded facades and blossoming doorways, they are simply delightful and sure to capture a dreamy moment of the seaside. 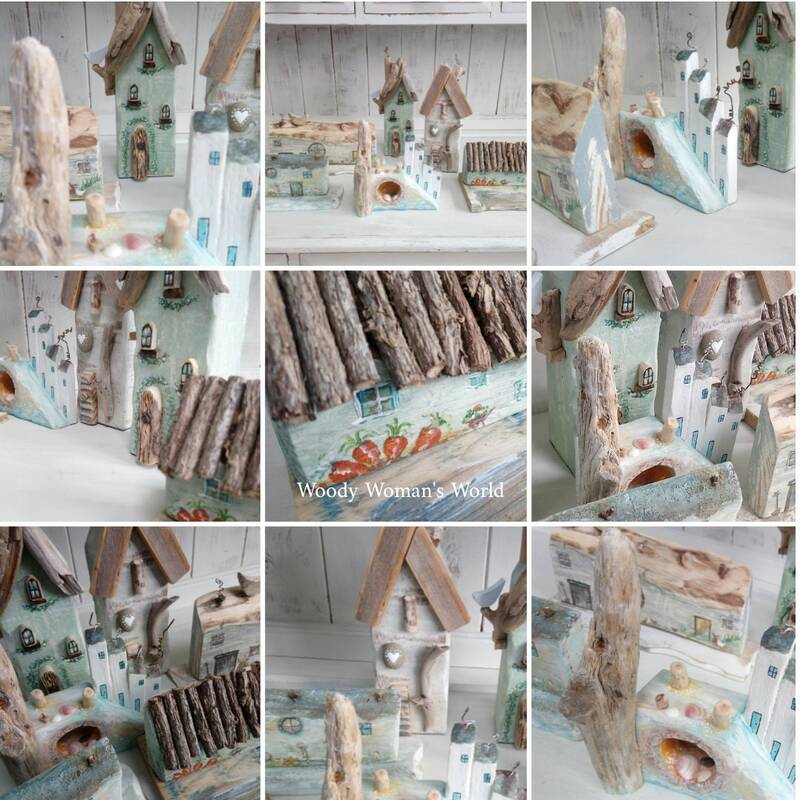 Below is a link to the Cottage section where you will find some more beachy cottages and houses and also a link to free shipping cottages.